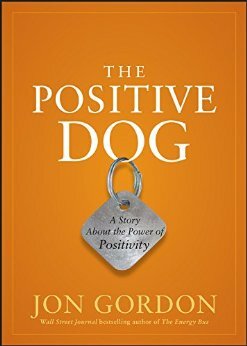 A book about being positive aaaaand it involves dogs....I am in. It is a simple read and I'm already more than half way done. The book begins with two dogs in a shelter, one is named Matt who happens to be a Debbie downer and the other dog is Bubba who is happy & positive and determined to change Matt's outlook on life. Throughout the book, Bubba gives Matt some life lesson on how to change his perception. This weekend I applied one of the lessons to my life. Many of us start our day with "I have to go to work" or "I have to run errands". Instead we should be saying "I get to go to work" since we should be grateful that we have a job. Well anyways, I did that this weekend and let me tell you....I had a WONDERFUL day at the gym. Not only did I make some sales (which is always nice) but I also had the opportunity to bond with my coworker, Angie. It was really great to connect with her and find out that we a lot of things in common.